January is National Soup Month. Did you know that? I think bringing attention to soup is a great idea. Hot soup is one of the most delicious things you can eat at this time of the year. We have been hit with a big snow storm up here in Seattle the last few days, so it is definitely time to make a yummy pot of soup. I love cooked carrots, so this is one of my favorite recipes and it is so simple to make. This recipe is from Alice Waters. It is in her wonderful cookbook called The Art Of Simple Food. 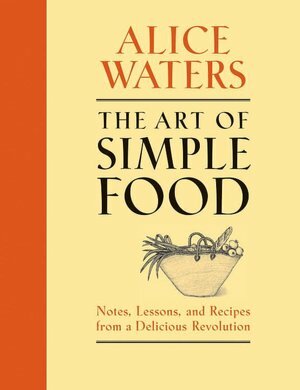 I adore Alice Waters and have been a fan of hers for many years. 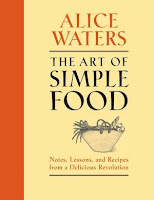 Alice is a true advocate and teacher as she shows us we can eat locally, seasonally, and simply. Her philosophy is that if you start with the best quality ingredients available, even the simplest dish can taste extraordinary. This is the recipe for Carrot Soup. Bring to a boil, lower the heat, and simmer until the carrots are tender, about 30 minutes. When done, season with salt to taste, and puree if desired. You can also add other ingredients such as a can of chopped tomatoes, corn or rice. I always add a spoonful of sour creme and fresh herbs just before serving. With the addition of a simple salad and a good hearty bread , this can be a delicious dinner on a cold winter night. Hmm I have never made carrot soup. I will have to try this out!